Lot 24 RAILWAY CLOCK. L.M.S. 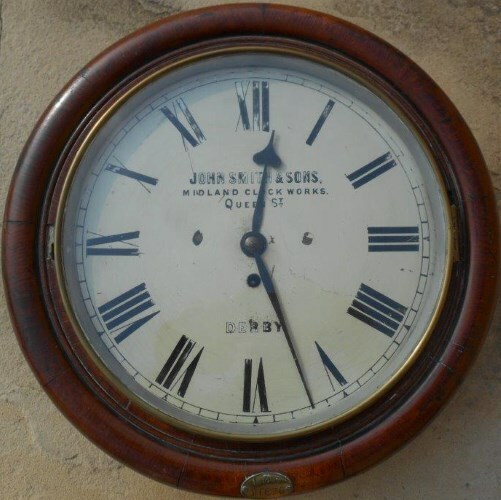 12" Mahogany cased clock with a chain driven fusee movement and dial inscribed "JOHN SMITH & SON - MIDLAND CLOCK WORKS - QUEEN ST - DERBY". Fitted with a solid brass bezel.Brass plate on bottom rim "LMS 11876" The back box has two side and one lower door and is complete with winding key and pendulum. Full working order.